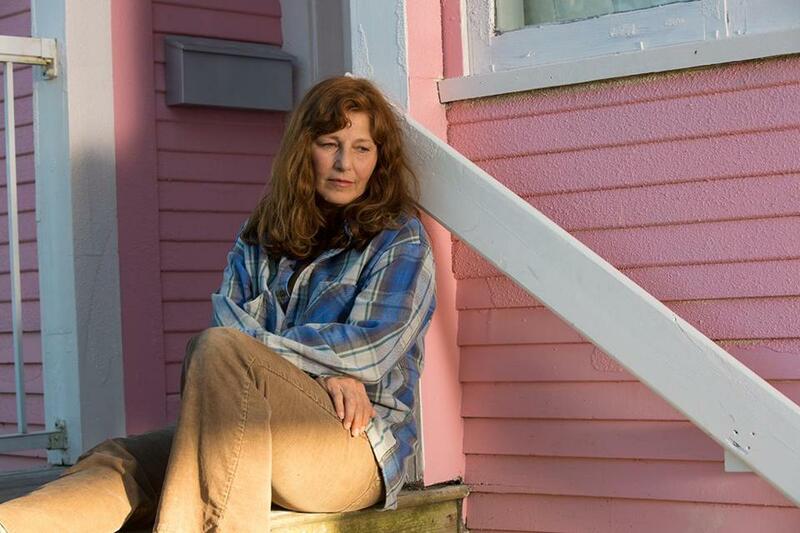 If “Little Pink House,” a new movie starring Catherine Keener and directed by Courtney Balaker, were the usual Hollywood tale of humble citizens abused by a mighty corporation and its political allies, you could expect it to find its way to a happy ending, with the little guys prevailing and their powerful antagonists getting their comeuppance. “Little Pink House” isn’t that kind of film. It recounts the true story of Susette Kelo (played by Keener) and her working-class neighbors in the Fort Trumbull neighborhood of New London, Conn., whose homes were seized by eminent domain to clear the way for an upscale private development at the behest of Pfizer, the Big Pharma colossus. The tiny band of homeowners, represented by idealistic lawyers from the Institute for Justice, fought their eviction all the way to the Supreme Court — and lost. In one of the most infamous decisions in its history, the court ruled, 5-4, that property owners can be stripped of their land whenever the government decides that a wealthier owner would put it to more lucrative use. Kelo v. City of New London effectively turned an explicit constitutional right into a nullity. Though the language of the Fifth Amendment is clear — “nor shall private property be taken for public use without just compensation” — state and local governments for years had been getting away with using eminent domain to facilitate what amounted to private development. The New London case offered a perfect opportunity to end that abuse, by reaffirming that when the Constitution says “public use,” it means public use. Instead it did the opposite, and Americans were appalled. They’ll be appalled afresh if they watch “Little Pink House,” which opens this week in limited national release. The title is a reference to Susette Kelo’s Victorian cottage on the New London waterfront, which was a wreck when she bought it in 1997. She fell in love with the place at first sight, and the film opens with scenes of Kelo meticulously restoring the house — sanding floors, whitewashing woodwork, clearing debris, and painting the exterior a shade of pink called Odessa Rose. Homeowners in Carver are no match for a savvy developer and a Town Hall hungry for revenue. Kelo wasn’t the only resident to pour heart, soul, and sweat equity into the neighborhood, as I learned when I first visited Fort Trumbull in 2001. Matt Dery, a lifelong resident, described how he had bought the house next to his parents’ home, gutted it to the studs, and renovated it by hand, working on it every day for a year before getting married and moving into it with his bride. But diligence and love counted for nothing when Pfizer decided to expand to New London. Government officials were eager to give the corporate giant what it wanted, and what it wanted was to replace Fort Trumbull’s modest residences with something more upscale: high-end condominiums, a luxury hotel, a conference center. The movie shows Connecticut’s ambitious governor (played by Aaron Douglas) recruiting the equally ambitious president of a local college (Jeanne Tripplehorn) to make it happen. Soon residents are being pressured to sell their houses and leave; those who resist are threatened with eminent domain — a threat underscored as bulldozers are sent in to demolish the houses that are sold. In vain do Kelo and a few other homeowners insist that what’s being done to them is wrong. They fight all the way to the highest court in the land. But in the end the neighborhood is razed. It’s still a wasteland today. The grand redevelopment that Pfizer craved and Connecticut politicians were determined to push through never happened. No hotel, no condos, no added tax revenue. Pfizer itself has left New London. Kelo, Dery, and their neighbors were dispossessed, and part of the Bill of Rights was gutted, for nothing. After watching “Little Pink House,” I called Dana Berliner, one of the two lawyers who represented the Fort Trumbull homeowners in their futile legal battle. (On screen she’s played by Miranda Frigon.) Now the Institute for Justice’s director of litigation, Berliner continues to fight eminent-domain abuse and government assaults on property owners. But the travesty of New London still rankles. One of the most maddening things about the case, she says, is how the arrogance of government officials overpowered their common sense. “They didn’t need all the property, and they knew it,” she recalls. “They could easily have developed some of the land without destroying all those houses.” There were multiple points at which the conflict could have been equitably settled. At one stage, for example, residents in two different sections of Fort Trumbull proposed that their homes be relocated together into a single section, and that the town then remove it from the redevelopment scheme. What occurred in New London epitomizes a timeless truth: Where property rights are precarious, freedom is precarious. “Little Pink House,” gripping and infuriating, makes clear what can happen when the government decides your home is no longer your castle.